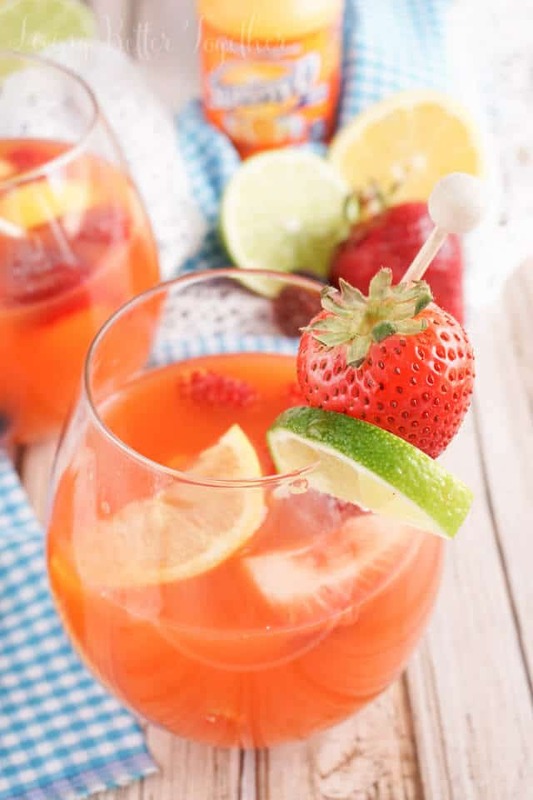 This Mixed Fruit Sangria Mocktail is just the thing to kick off the summer months with! It’s easy, delicious, and perfect for any age! So I absolutely love Sangria, it’s like the ultimate summer drink. Sometimes though, I don’t want anything alcoholic, but still crave that fruity punch! 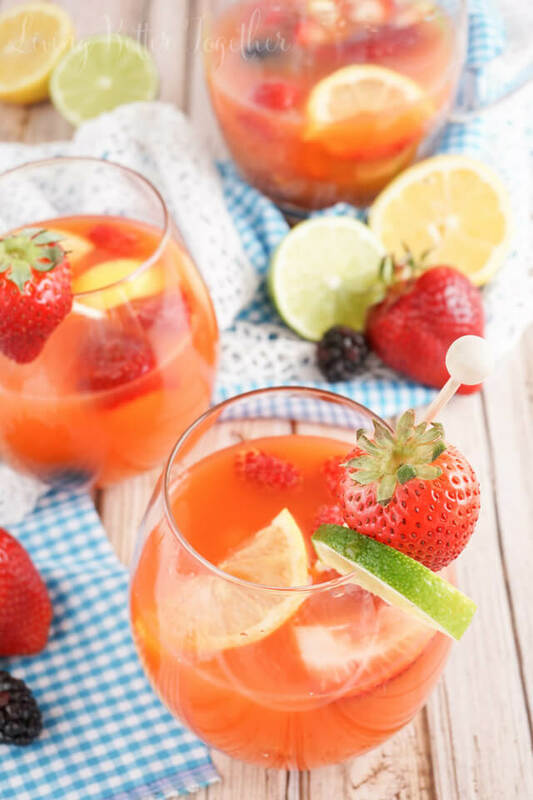 This Sangria Mocktail is perfect for those occasions and it has a secret base ingredient straight from my childhood! SunnyD! So I guess you could say this is more of a SUNgria, ha, I crack myself up. But really, when it’s mixed with cranberry juice and fresh fruit and finished off with a lemon lime soda, it makes for a pretty mean mocktail! And by mean, I mean delicious! 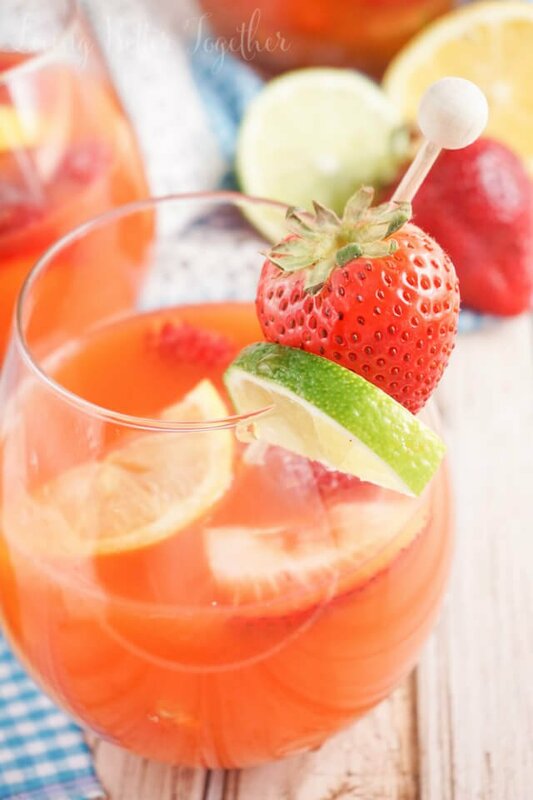 Plus it’s also Cinco de Mayo today, and this drink is the perfect way to celebrate! Since it’s non-alcoholic, it can be enjoyed by everyone, nothing like being able to please everyone, am I right! Just mix the goods together and let it chill and you’re ready for some simple entertaining in no time at all! 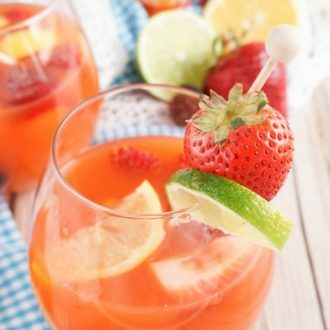 This Mixed Fruit Sangria Mocktail is just the thing to kick off the summer months with! It's easy, delicious, and perfect for any age! 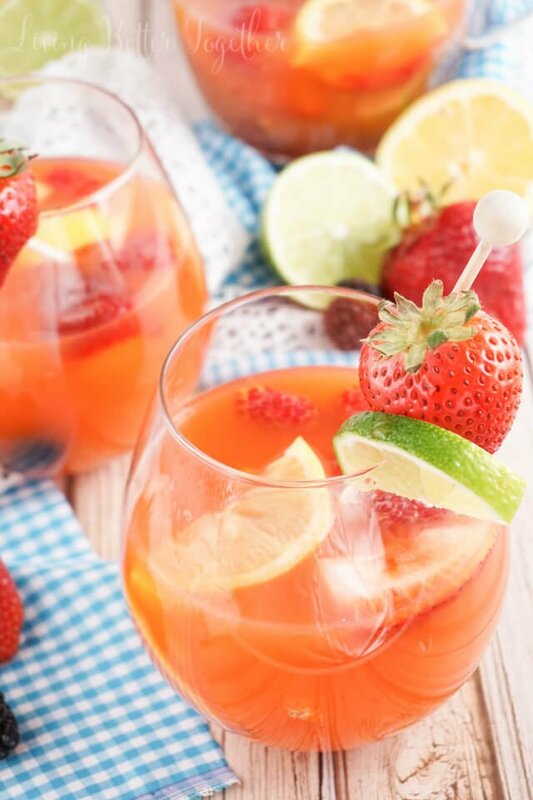 Add fruit, SunnyD, and Cranberry juice to a pitcher and chill in the fridge for at least 2 hours. Add lemon lime soda just before serving. 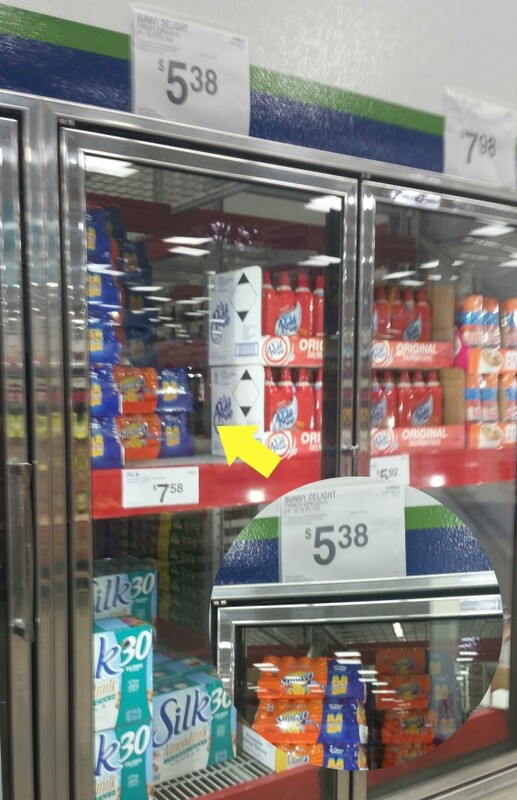 You can pick up the new 24 ct. packs of SunnyD at Sam’s Club, located in a refrigerated end-cap until July! They’re also on rollback for $5.38, just in time for summer and school vacation! 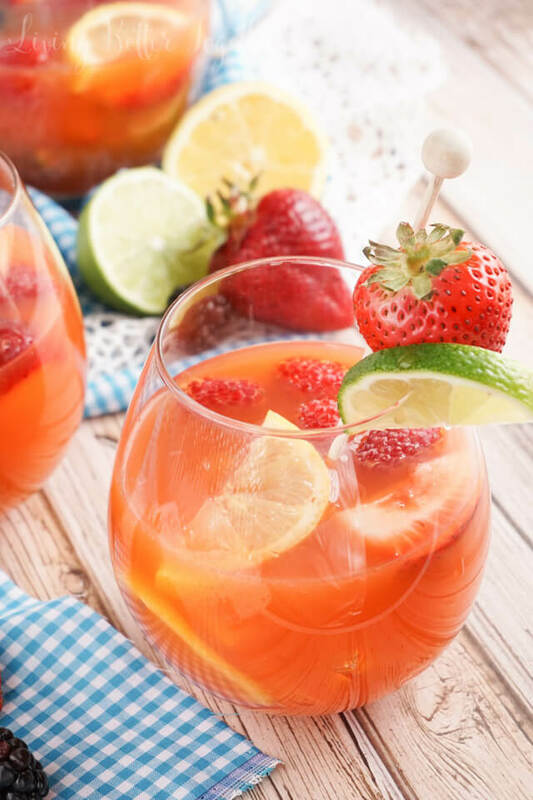 So, are you ready to mix things up with SunnyD and this Sangria Mocktail, or are you going to kick it old school and drink it straight from the bottle? Oh, you must make it for him! He’ll love it! Love how light and colorful this looks.